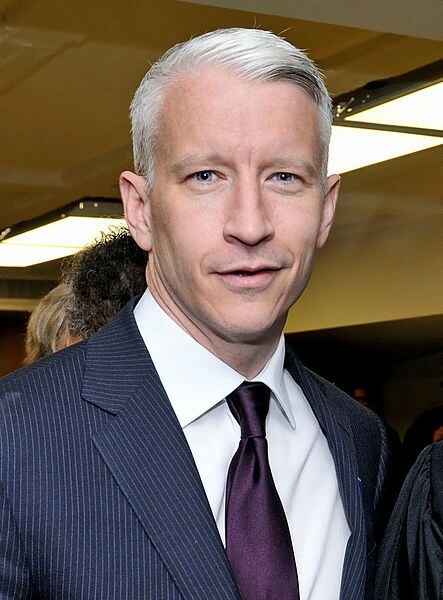 Anderson Cooper: What Were You Thinking? Dear Anderson: Like many of the fifty-six million Americans with disabilities, I was stunned by your recent 60 Minutes piece on “drive-by” lawsuits under the Americans with Disabilities Act. Your portrayal of the law as some type of get-rich-quick scheme meant to hurt small businesses was dishonest, and it forced me to find the time to write you this letter. Your report struck such a nerve with me because I am exactly the type of person who lawmakers and a Republican president envisioned when they enacted this historic piece of civil rights legislation. I was born with a neuromuscular condition, and I have used a wheelchair all of my life. As my disease progresses, I benefit from excellent medical care and advances in technology; most recently, I’ve attached a ventilator to my wheelchair to help me breathe. I also write to you with the added perspective that comes from being a member of the State Bar of California. I graduated from one of the best law schools in the country, and I spent months studying the Americans with Disabilities Act (ADA) with the most dedicated disability rights attorneys. While I do not practice law today and I have never filed nor been a party to a lawsuit under the ADA, I have a clear understanding of the law and its real-life implications for people just like me. I think it would be best to address the issues you raised in your piece by asking two fundamental questions. First, as a nation, do we want people with disabilities to be fully-engaged and integrated members of society? Second, if we say yes, then on whom does the burden fall to ensure that we achieve such a vibrant and diverse community? Whether we want people with disabilities to join the public sphere is by no means a clear-cut question. Our country has a long history of institutionalizing the “sick and feeble minded,” hiding away people like me for the comfort of people like you. The forced sterilization of people with disabilities became accepted policy in an attempt to rid society of the “unfit.” We were not accepted into the classroom and we were not accepted in the workplace. It is only during the past few decades — with the rule of law behind us — that people with disabilities have begun to slowly enjoy the opportunities and privileges associated with living in the United States. For now, society has seen value in supporting a large community of various abilities. Most people have recognized that my participation in public life is not only the right thing to uphold, but it also bolsters the truth that we are all more similar than we are different. Both houses of Congress passed the legislation by enormous, bipartisan majorities, and George H. W. Bush signed the bill into law on July 26th, 1990. Let’s think about how such a notice requirement — or “warning” — would work in the real world. Suppose that I am meeting friends at a new restaurant, and when I arrive, I discover that the entrance is partially blocked by decorative columns that prevent my wheelchair from navigating the space. My friends and I have to leave, and in that moment the injury occurs. Under your implicit argument, the business should face no consequences. In fact, it would be my responsibility to convince the business owner to comply with federal law. Anderson, do you really believe that burden should fall on me, that I should research every potential business I may visit, survey their ADA compliance and then send letters to each owner that fails to provide adequate access? Would we accept the idea that a business could refuse to serve individuals based on their race, and then the aggrieved party would have to provide notice to the bad actor, allowing him or her a grace period during which time they may choose to honor the law? It’s preposterous. There is no other civil rights law in the nation that requires notice and provides an opportunity to acquiesce after the injury has taken place. It simply makes more sense to recognize that certain duties are associated with being a business owner. Among other things, a business owner must provide safe working conditions, must protect private information, cannot have a detrimental impact on the environment and needs to ensure that their establishment meets ADA guidelines. The thrust of your report seems to be driven by a belief that the ADA regulations are overly technical, an undue hardship on the seven million businesses that operate in our country. You take issue with the facts that ramps need to be in certain locations and not exceed certain angles, that doorways and parking spaces need to be certain widths. It may seem random to someone who has no way of benefiting from these specific needs, but have you spoken with people who were meant to benefit from these requirements? Did they tell you that the specificity really does not matter? For me, the guidelines are critical. They ensure that I can maneuver safely and confidently. They protect me against facing seven million different ideas of what others believe should work for me — just as you stood in front of the convenience store in your report questioning the legitimacy of the ramp and parking space claims. The reality is that these regulations were crafted through an extensive process where all stakeholders had a voice, and the final product is what works best for most people with disabilities. Plus, it is disingenuous to portray the ADA as a law that — to the casual observer — mandates arbitrary requirements to merely provide a basis for illegitimate, money-making lawsuits. “It’s a game for these attorneys,” one of the owners you featured said. Actually, it’s not. Telecommunications, transportation, employment, public accommodations and the right to live in the least restrictive environment are just some of the areas where the ADA touches the lives of millions of Americans every day. It is the most important disability rights law to ever exist in the United States, and as with any law, enforcement is essential. The dilemma is that there are no inspectors who monitor for compliance. People with disabilities are charged with enforcing their own rights—and that opens the door for reporters like you to portray us as unreasonable individuals who victimize businesses by demanding access to public accommodations. What I find shocking is that you could not highlight a single person with a disability who has genuinely benefited from these regulations. To that end, please allow me to formally introduce myself: My name is David Bekhour, and the ADA greatly improves the likelihood that I can live up to my full potential. My successes should not only be attributed to my personal characteristics; my successes are also the direct result of having the appropriate policies in place that dismantle arbitrary barriers and undermine artificial measures of human value. And that brings me to the final point I feel compelled to address. Your piece not only portrays people with disabilities as thieves but also as unsophisticated individuals who rely on the goodwill of others — and who can easily be duped in the process. Of course, that is not us. We are a diverse community who have organized ourselves and collaborated with like-minded supporters to share our talents, express our hopes and live out our dreams. Unscrupulous individuals exist in every segment of society and some find their way into the legal profession, but people with disabilities are no easier targets than anyone else. You never mention the vexatious litigant statute in California nor the rules of professional responsibility that could be used to rein in unethical attorneys. Your choice to highlight rare examples of malpractice rather than focus on even one instance of justice under the ADA proves that you had the simple intention to promote an anti-disability rights agenda. Surely, you did not count on people like me to fill in the rest of the story: that these regulations unquestionably improve people’s lives and support a broad society that benefits everyone. The ADA is designed, in part, to address physical barriers, but it can do little to combat the type of social impediments you reinforced through your intentional misrepresentation of the ADA and the disabled community. The truth is you should know better. You have discussed and thought about disability issues far more than the average person. You have interviewed disability rights advocates and seen firsthand the life-changing access that has resulted from this inclusion-driven policy. As a journalist, you have let down the public by creating a false narrative around an inflated reality. And as someone who has openly embraced your own association with a community that continues to fight for greater social acceptance and equal treatment under the law, you have made me question the degree to which common experiences can be recognized and used to foster a more inclusive country. Before you tackle another story related to disability issues, I invite you to come spend the day with me. We don’t need microphone booms or producers; I’ll just buy you your favorite beverage, we’ll take a ride in my wheelchair accessible van and we can navigate the world from a different perspective than I bet you are used to. It is my hope that such an experience will broaden your understanding of the issues you cover and better prepare you to provide more complete context for your audience. You don’t have to be perfect, but you do need to be better. David Bekhour is a freelance writer and can be found on Twitter @optimisticgrin. Attorney by training. Adonis by nature. Writer by choice. Founder of the Vocal 53.9%.